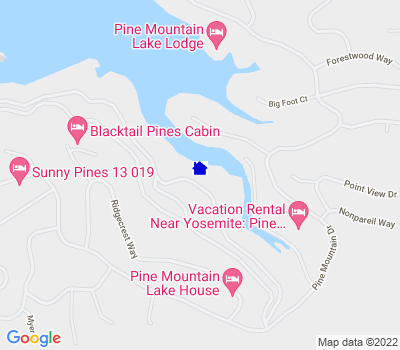 Pine Mountain Lake Vacation Rental #8917 LakeHouseVacations.com Rent Me! "The Big Easy" is a lakefront home, just 1-mile to the popular Marina Beach, 1-mile to Playground, 3-miles to Pine Mountain Lake Country Club / Golf Course / ProShop / Community Pool / Tennis Courts. Features: 3-bedrooms, 2-bathrooms, 1890sqft, 2-level, telephone, NO-wifi, 4-televisions (1-flatscreen), 2-dvd players, cable, central heat & air-conditioning, wood fireplace, 1-portable fan, microwave, dishwasher, blender, coffee maker, toaster oven, washer/dryer, books, pooltable, deck, deck furniture for 9, gas bbq, charcoal bbq, private dock, 1-canoe, 1-paddleboat, 2-kayaks. No garage. Off street parking for upto 6 vehicles. Bed Sizes: 1Q, 1Q, 1T + 1-daybed w/trundle (3 twins total), 1 small couch/futon in the gameroom. Maximum occupancy 10 (including children & infants of any age). Dining table seats 6, kitchen bar seats 2. 5/31 & 6/1: 2nt min. May 31-June 1: 2nt min. June weekends: 3nt min, $349. July - Aug 17: 4nt min, $349. This ad has been viewed 4136 times.